Located conveniently close to the airport, the Embassy Suites offers large suites with bedrooms and living rooms. 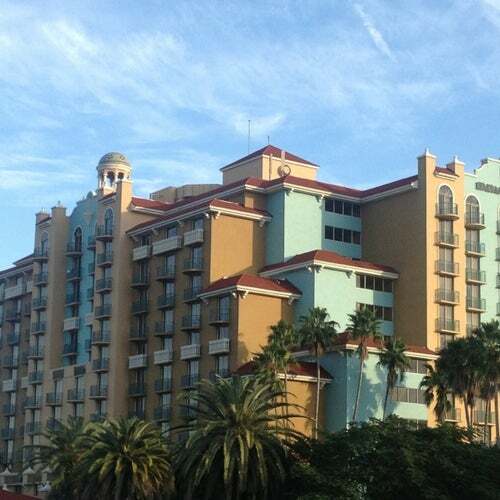 Typical Embassy Suites property; great location for cruise ship passengers, close to the port. The building and grounds are good. The staff is completely inattentive in every way imaginable. I do not expect 5-star service in an Embassy Suites, but they are overall dismissive and uninterested in their jobs or customer service. We were DEFINITELY the only gay people there. Can&#039;t beat a free happy hour! I just wish we had a view of the ocean. $.50 trolley rides all day to and from the beach.